FOUR GOLDEN STARS. Masía el Altet "PREMIUM". 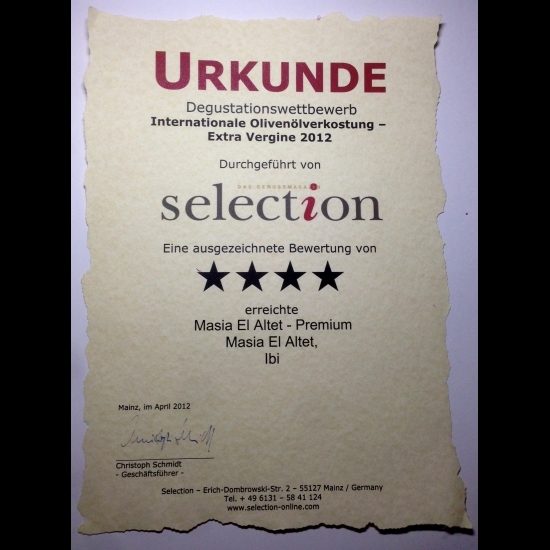 International Olive Oil Competition "SELECTION MAGAZINE" GERMANY. (From maximum 5 stars).